Visit Pixelab Studios at https://www.PixelabStudios.com! 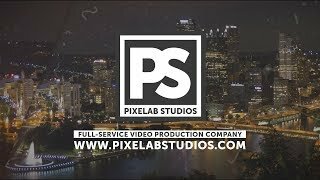 We’re a full-service video production and content marketing studio in Pittsburgh, focused on growing your business through digital media planning, production and promotion. Expand your brand with premium content for the web, social media and broadcast that’s both engaging and affordable. Our award-winning customer service surrounds the entire production process, from creative concept to finished product, while letting you focus on running your business. We don’t just want your customers to hear your story, we want them to be captivated by it. CORPORATE VIDEO PRODUCTION – Create a wide range of content to engage your audience, including promotional videos, social media content, broadcast commercials, company culture videos, product videos, demonstration videos, video testimonials, educational videos and more! CONTENT MARKETING – A marketing strategy focused on consistently creating and distributing valuable and relevant content that speaks to your audience’s problems and solutions at each stage of the buyer’s journey that will ultimately drive profitable customer loyalty. BRANDED CONTENT – Content that blends marketing and entertainment to communicate with your audience without directly selling to them. Branded Content boosts brand awareness not only by telling your audience Who you are, but What you stand for and Why it’s important. EVENT COVERAGE – We provide full-event coverage with professional cinema cameras and broadcast quality audio equipment. By converting the event into a shareable format, valuable industry information and company recognition can be used as promotional content. In addition to planning, filming and editing, we offer a wide range of services that sets us apart from other media companies. With so many options available, we can launch your brand and amplify your message further!